What Comes New With The Integration of Cloud And Docker Container? 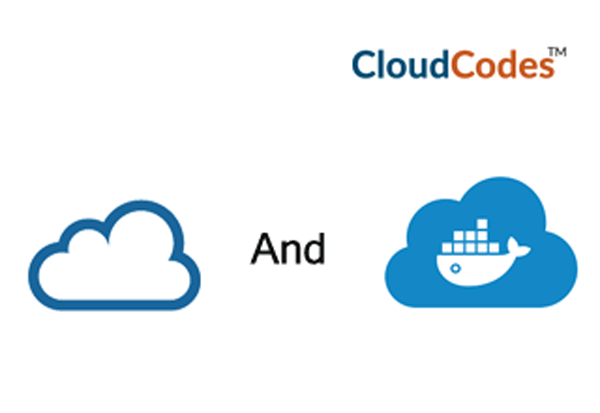 This CloudCodes official blog website is going to give description for the reasons due to which the combination of cloud and docker cloud is considered perfect for each other. But before this, we are going to learn about what exactly is docker in cloud computing. So, let’s begin! What is Docker in Cloud Computing? The Docker is an open-source environment of product containers. These containers help applications to work while it is being shifted from one platform to another like – migration from developer’s laptop to staging to the production. This is a new era technology, which enables enterprises to ship, build, and run any product from any geolocation. It is true that several problems are associated with hosting environments, and this Docker technology tries to fix those issues by the creation of a standardized way to distribute and scale the apps. In the current scenario, Docker has become popular among different cloud architecture machines. It permits applications to be bundled and copied where all apps are dependent on each other. Cloud users find this concept useful when it comes to working with a scalable infrastructure. When docker gets integrated with cloud, it is named as Docker Cloud. Docker Cloud is an official online service to deliver Docker products. Several online services like Azure, AWS, Google cloud platform, etc., are present for enterprises in today’s date. Although these services provide flexibility in work, they require configurations of everything. On the other hand, Docker Cloud is found as an advance managed cloud system, where it could render orchestration and develop different options for its clients. This new concept prevent customers from wasting their time in several kinds of configuration processes and enables them to work more on their business growth. Following illustrated are the points, which describe reasons for combining Docker and cloud computing technology. One can learn the benefit of doing the same when it is about distributing and scaling the apps. Eliminate The Useless Costing – There was a time when virtual systems were accessed like building blocks of the cloud. They were entirely isolated from the external world and comprised their own set of directories, operating system, virtual network adapters, etc. These settings in a virtual machine make it portable as well as easy to duplicate. But, it also causes heavy footprints because virtual systems demand lots of storage and memory space, increasing the overall business finance. Here comes the role of Docker cloud! A docker is built by blocks of containers. In comparison to a virtual machine, a container can be seen lightweight. The major difference between both of them is that containers share their hosts OS kernel and can easily share storage space. The term ‘sharing’ refers to adding up of a new container to a host enabling enterprises to distribute apps on smaller host instances. This reduces the overall finance because industries are working on Docker Cloud, which is a cloud hosting service. Categorized Business Resources – It is possible for containers to share resources on a host but, they are only good till the time virtual system are creating boundaries between apps. Containers still work in their memory space, restricting two different containers from interfering work of each other. Suppose there exists two containers having two different versions of Java runtime, this might cause a problem of resource sharing because the host is same. This problem is troubleshooting in the Docker cloud technology where the idea of isolation is used. It makes a valid assumption on how to deploy the user software. It acquires the need away to initialize the host server in a docker swarm and enables Docker Cloud for managing resources without demanding any understanding for the app context. Provide Ease in Orchestration – Several industries demand using an orchestration framework when they experience deployment complexity. The Docker in cloud computing enables its clients to make use of Docker Swarm for orchestrating their software infrastructure. They can mention a definition of their desired infrastructure, which can be similar to one of the known orchestration frameworks. It means that a technician can give a description in YAML format, entering all the services needed for running an app. This comprises technologies like load web services, load balancers, databases, cache servers, etc. Docker cloud will allow its users to manage the warm they deploy in it, holding all the physical hosts they deploy to their stack. Gain Ease in Deployment – The mechanism of docker in cloud computing enables end users to gather their applications like a docker image. This picture can be downloaded from registry like Docker Hub and ran within the container. No manual procedures like software installation, drivers installation, etc., are present in this mechanism. A docker image enables the deployment system to be dumb and leaves the customers with only a single worry point. This single point of tension is to run applications whenever customers are ready. Well, docker cloud is capable of consuming the docker image on its own. One can mention the arguments for command line, which can acquire recently created image and then, push it to core production just in few seconds. Docker in cloud computing is a technology, which has undoubtedly taken an evolutionary step towards the management of deployment platforms. It is an extremely new way of working in premises where work management becomes more easier for industries. No extra finance for the storage server and cloud infrastructure maintenance is required in Docker cloud. Enterprises can adopt this modern strategy of working to grow their business and hence, achieve heights of success.